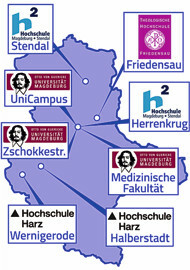 Every semester students living in Magdeburg may also register for creative workshops of the Studentenwerks Magdeburg. Course duration is 24 class hours. Personally at Canteen Herrenkrug Infopoint and Canteen UniCampus Infopoint during the first two weeks of each semester. We start the registration from 1st of april 2019 till 12th of april 2019. You can register also online. 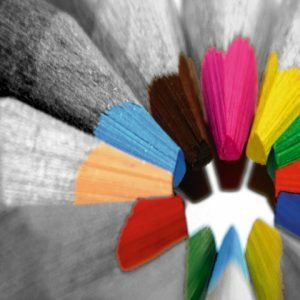 There is a registration fee of 18,- € per course for students and in the case of free spaces 45,- € for university staff and guests (application possible from 10th April 2019) . The courses start the week after registration usually in April or October and take place in the basement of the dormitories 2 and 3, J.-G.-Nathusius-Ring 2, 39106 Magdeburg or in the CampusTheatre next to dorm 7. Mondays from 4.00 p.m. to 7.00 p.m. or Wednesdays from 5:00 p.m. to 8:00 p.m. The first courses will start on april the 15th 2019 (monday course) and on april the 17th 2019 (wednesday course). Thursdays from 6:00 p.m. to 8:00 p.m. The first course will start on april the 25th 2019. Tuesdays and Thursdays from 6:30 p.m. to 8:30 p.m. The first courses will start on april the 16th 2019 (tuesday course) and on april the 18th 2019 (thursday course). Mondays from 7:00 p.m. to 9:00 p.m.
Mondays from 6:00 p.m. to 9:00 p.m.
Tuesdays from 6 p.m. to 9 p.m. or on Wednesdays from 5:00 p.m. to 8:00 p.m. The first courses will start on april the 16th 2019 (tuesday course) and on april the 17th 2019 (wednesday course).